This week I hit another first. I bought my first tank of gas (not ever, but my first for our new car). Because there is an app for everything, I decided to see if there was an app to help me find the cheap gas. And no surprise, there are quite a few. 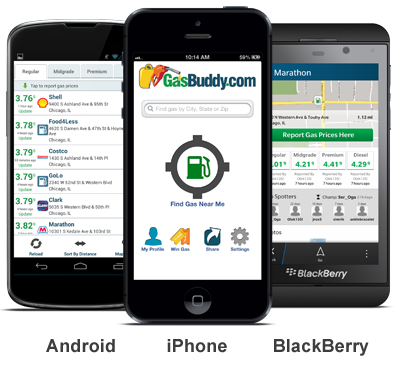 I downloaded GasBuddy and have to say, it is pretty sweet. Using GPS to locate your exact location, the app then shows you all gas stations around you and their current price for gas. Users can update the prices to ensure that they are accurate. I found the cheapest gas within a 5 mile radius (3.22 per gallon) and drove over to the station, which actually is right around the corner from our apartment. After pulling up to the pump, the attendant came over to me as I was getting out of my car. I had completely forgotten that all of NJ gas stations are full service! Just another thing to make me feel like a Jersey Princess. I was made for this state.